Rio Tinto has reported record Q3 iron ore and thermal coal output while raising its full-year copper forecast ahead of a surging commodities demand on the Chinese mainland. Iron ore production was 53.4 million metric tons (mt) in Q3, compared to 52.6 million mt year-on-year, Rio said in a statement, according to Bloomberg News. The London-based miner seeks to slash costs by $5 billion by the end of 2014. Growth in China, Rio’s leading market, is showing signs of rebounding after a slowdown in Q1 and Q2 2013. Australia, the largest iron ore exporter, meanwhile, raised price estimates on buying from steel mills in China, while its copper imports from the world’s most populous nation rose to an 18-month high. “In iron ore, we achieved record production and shipments in Western Australia,” CEO Sam Walsh said in a statement. “We are also making further gains in productivity across our operations and continue to drive costs out of the business.” Iron ore is Rio’s biggest-earning unit representing more than 91% of 2012 income. Despite efforts to slim down, Rio’s iron ore expansion to 360 million tons, from 290 million tons, remains ongoing in Australia’s Pilbara region amid long-term technical assessments, according to company officials. Quarterly copper, meanwhile, beat analyst expectations after company officials boosted their 2013 mined output forecast by 4.4% from a July estimate to 590,000 tons. To this end, Rio produced 162,300 copper tons in Q3, up 23% over the same period in 2012. Refined copper output, meanwhile, fell 2% to 68,300 tons, while Rio bolstered its 2013 refined copper output forecast by 17% to 270,000 tons. 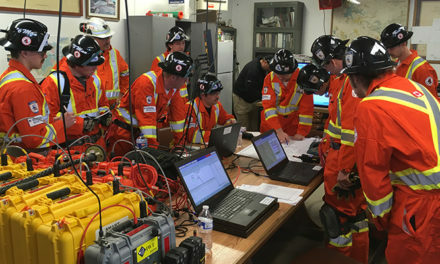 Despite a pit wall slide in April, a recovery of open-pit operations at Kennecott Utah Copper continues progressing better than originally planned, Rio officials reported, according to Bloomberg News. Kennecott mined copper output is forecast at 185,000 tons in 2013. Mongolia and Rio, meanwhile are progressing with talks to resolve project financing and other disputes that stalled an expansion of the $6.6 billion Oyu Tolgoi copper mine, according to Mongolian officials. In the beginning of Q3, Rio Tinto delayed work on a $5.1 billion underground expansion pending financing agreements. Mongolia controls 34% of the project.